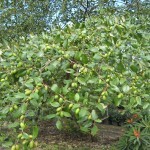 Jujube Tree (Zizyphus jujuba) - Richard Lyons Nursery, Inc. 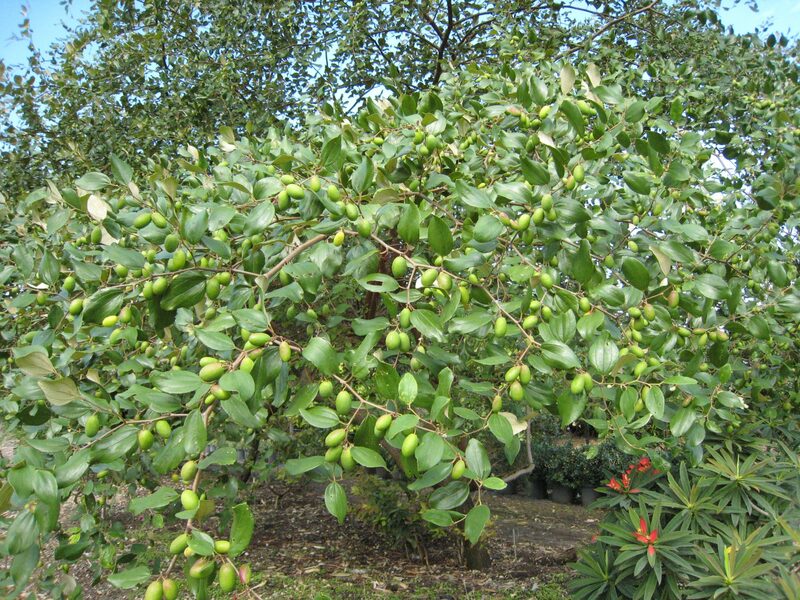 The Jujube tree is a fruit tree in the Rhamnaceae, or Buckthorn Family, that grows very well in S. Florida. 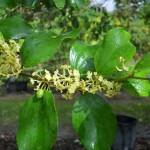 Its origin is southern Asia and has been cultivated in China for 4000 years where there are 400 known varieties. 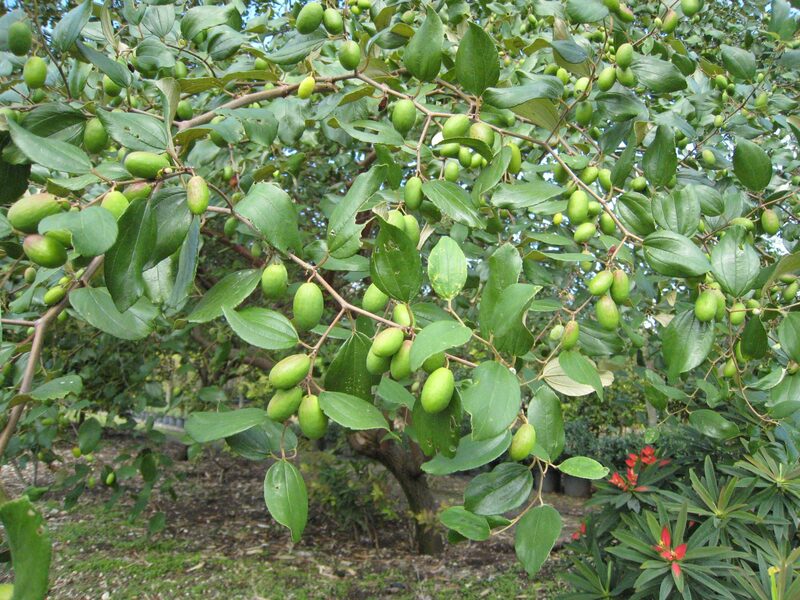 It can attain a height of 20′ and 12′ wide with shiny green foliage, and bears a small oval fruit in late November – January. 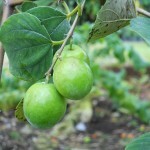 The fruit is eaten fresh when it is still smooth and green. It has the consistency and taste of an apple. It later matures to a purplish-black. It is at this stage when it is dried and becomes chewy with a date-like consistency, giving it the common name of Red Dates. 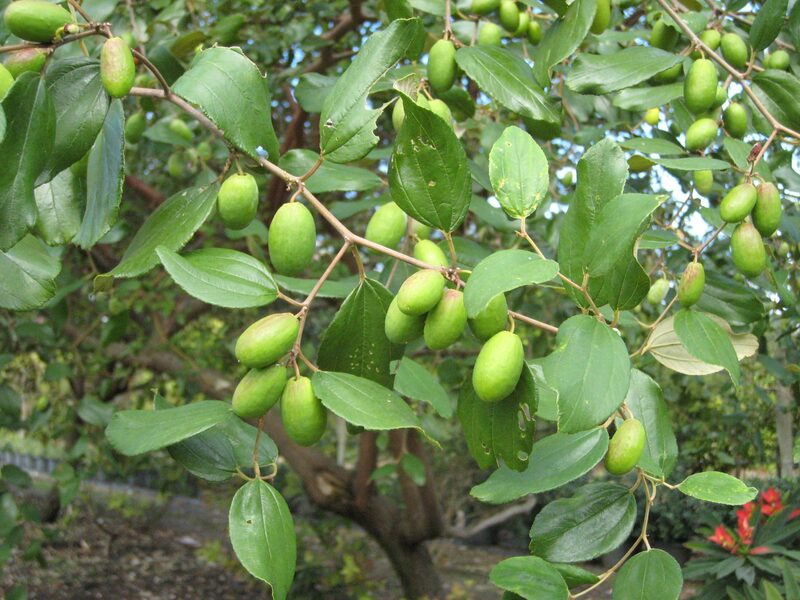 This tree is extremely cold tolerant, surviving temperatures down to about 5 degrees F.
In China, jujube tea can be found along with juice and a vinegar used to make pickles. A wine is also made from the fruit. 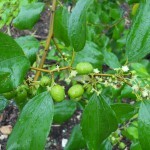 Chinese medicine uses the fruit to kill internal parasites, promote liver function, and improve the pulmonary system. In Iranian cuisine, the dried fruits are eaten as a snack. 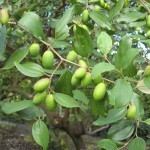 Jujubes were first introduced into the United States in the late 1800’s, but quickly fell out of favor due to the fact that the variety introduced was best suited for drying and not eaten fresh. It wasn’t until the 1990’s that a variety was introduced, cultivated for eating fresh off the tree. 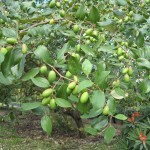 Most recently, in 2007, two more varieties were introduced for fresh fruit. 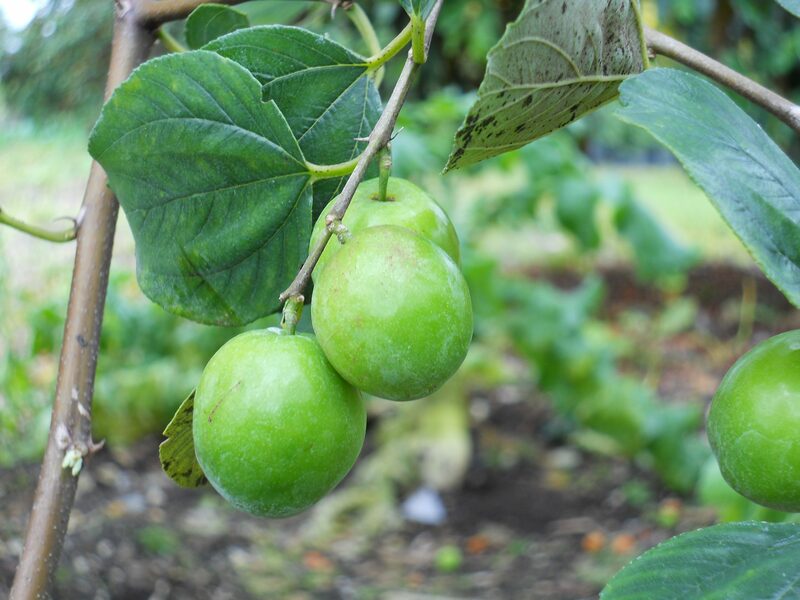 It seems unclear which cultivars are being sold in the nursery trade today, however, it is known that the following named cultivars: ‘Sugar Cane’, ‘Li’, ‘Sherwood’, ‘Chico’, and ‘Honey Jar’ are the best ones for eating fresh, with ‘Honey Jar’ being the smallest and juiciest. ‘Lang’ and ‘Shanxi Li’ are best for drying and eating like dates. 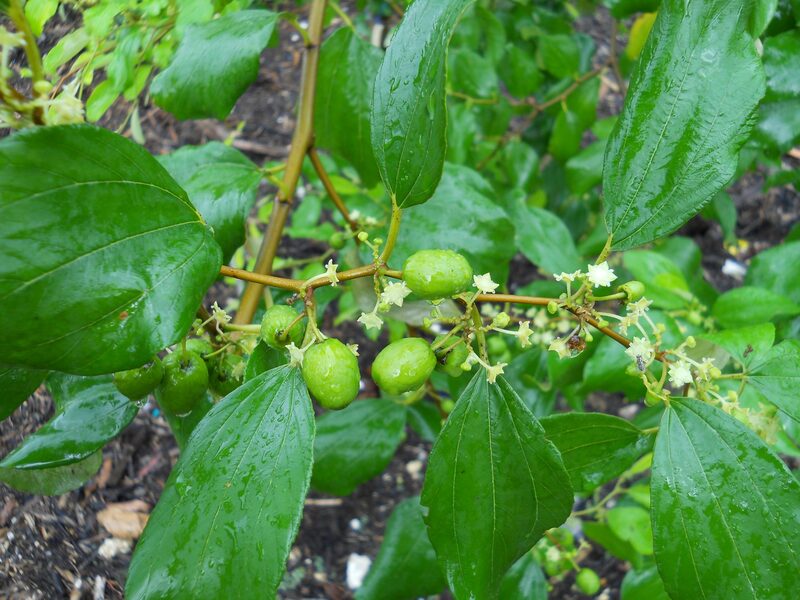 One thing is clear though, this tiny fruit has 20x more vitamin C than citrus fruit. 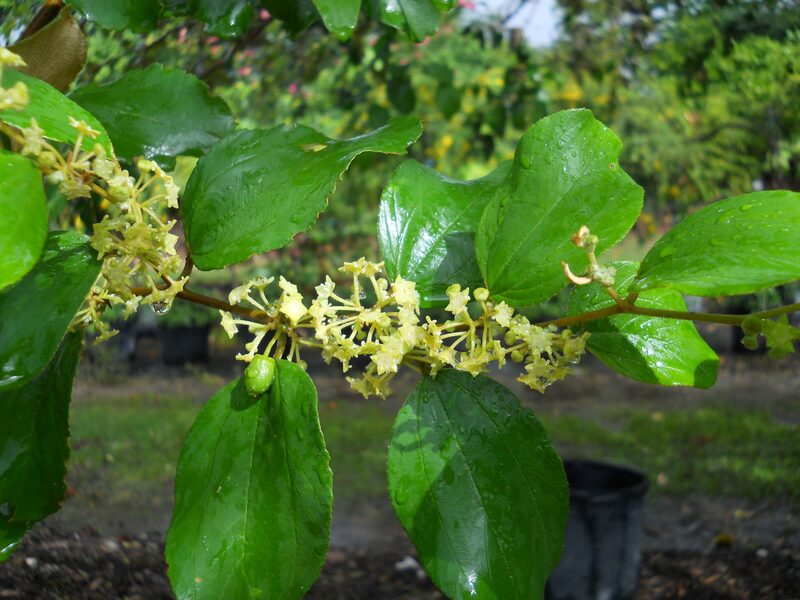 Richard Lyons’ Nursery sells the fresh fruit in season, as well as trees in 3gal. and 7gal. containers.